Ultimate TORRENT PROXY Guide - How to Choose and Setup a proxy for anonymous downloads! Using a Socks5 Torrent Proxy with your favorite Bittorrent client will allow you to easily anonymize your torrent traffic. But not all proxy services are created equal. And not all torrent clients handle proxy setup the same way. VPN or Proxy: Is one better for torrenting? Private Internet Access is the best deal available if you want a torrent-friendly Socks5 proxy & VPN service primarily for anonymous torrenting. PIA has the best combination of essential torrent features, for less than the cost of a cup of coffee per month. All plans include unlimited use of their Socks5 proxy server in the Netherlands. NordVPN’s feature set is almost identical to Private Internet Access (Zero Logs, Socks5 + VPN, torrent-friendly). 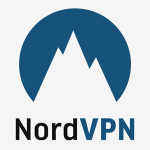 However, they have one awesome advantage… NordVPN is one of the only VPNs in the world that still works with Netflix. They’ve been able to successfully avoid the Netflix VPN block for years. If you want 1-click access to Netflix’s global catalog from anywhere in the world, choose NordVPN. 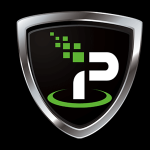 IPVanish is a zero-log VPN service based in the USA. They fully allow torrents/p2p and include both Socks5 Proxy service and VPN service in one all-inclusive package. A bit pricier than PIA, IPVanish is the undisputed king of speed, outperforming all contenders in our speed tests. Their software is also more user-friendly than both PIA and NordVPN. If you’re willing to pay for performance (and don’t need Netflix support) go with IPVanish. How is a Proxy different from a VPN? And which is better? This is a common question. In simple terms, a proxy is like a VPN, minus the encryption. In other words, a proxy will hide your IP address without scrambling/encrypting the data you’re sending. Since most torrent traffic is identified based on the IP address that appears in your torrent swarm, a proxy by itself offers enough privacy for most users. A VPN is certainly more secure, which is why most of the Socks5 proxies we feature in this article actually include Proxy + VPN service in the same subscription at no additional charge. This gives you the option to use either (or both) to match your security needs. Many people opt to run a VPN 100% of the time for day-to-day security, and also configure a proxy specifically for their torrents. Each VPN/Proxy service has unique method of assigning usernames/passwords for their proxy service. They also each have a unique proxy address and the port # that the proxy operates on may vary from service to service. Private Internet Access requires you to use a different proxy username/password than for their VPN service. You generate your proxy credentials from inside your PIA account panel on their website. NordVPN hosts their Socks5 proxies on the same servers as their VPN network. They allow SOCKS connections in over 40 countries, and 10 of these countries allow P2P/Torrent connections. The full server list can be found here. The Port # is 1080 for all server locations. Proceed to the next step with setup instructions for your specific torrent client. Username/Password: Generated from account panel – Instructions. Once you have your socks username and password, proceed to the next step to setup IPVanish with your preferred torrent client. Torguard has several locations for their p2p proxy service. You can manually choose a server by its IP address (shown in your Torguard account panel) but we recommend using the default proxy address and let Torguard choose the fastest server automatically. About the Hostname: it doesn’t matter whether you choose the .org or .io proxy address. Both belong to Torguard’s ‘Smart’ router, which will find the optimal proxy server for you based on your location and how crowded each server is. Port: We love the fact that Torguard provides multiple ports that you can run the proxy on. Many VPNs (PIA and IPVanish for example) only allow you to run on the default 1080 port. The problem with this is that some internet providers (Comcast is one example) block all traffic on port 1080. If you get slow speeds while using the proxy on 1080, choose 1085 or 1090 as your port # instead. Proceed to the next section to get specific setup instructions for your preferred torrent client. If your favorite client isn’t listed here, it most likely doesn’t support the proxying of peer connections. If this is the case, a VPN is your best option for improving torrent privacy. uTorrent fully supports the proxying of peer and tracker communications. We’ll look at the recommend proxy settings. Afterwords we’ll discuss the (optional) port forwarding and encryption options. 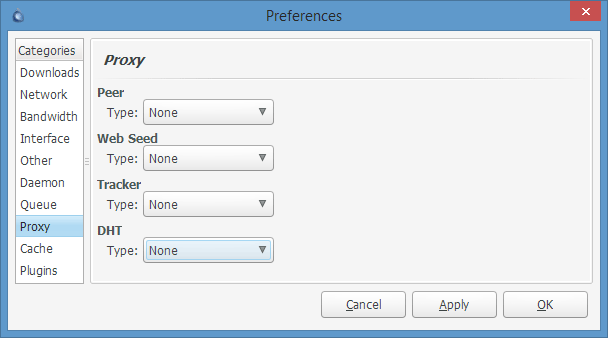 Connection Tab: Select the ‘Connection’ tab of the preferences menu to access the proxy settings. Proxy: This is the proxy address assigned by your torrent proxy service. This was covered in the previous step. [5a, 5b] Username/Password: Specific to your proxy service. You should have copied/generated your login credentials in the previous section. Important: Make sure you have all boxes numbered 6-10 checked. These are important privacy settings that will make sure that uTorrent uses the proxy tunnel for ALL connections. You don’t want to leak identifying information to trackers or torrent peers. Use Proxy for Hostname Lookups: Make sure that tracker requests are routed through the proxy tunnel and proxy IP address. Disable Local DNS lookups: Prevent DNS leaks and make sure that uTorrent uses the proxy servers’ DNS servers, not your own (prevent IP leaks). Disable Features that leak identifying information: Turns off any uTorrent features that could accidentally leak information about your identity, location, or real IP address. Important for maximum privacy. Disable Connections unsupported by the Proxy: Some torrent clients will route ‘unsupported connnections’ outside the proxy tunnel. uTorrent is much more secure and lets you disable any unsupported connections. This ensures that 100% of your uTorrent traffic is routed properly through the proxy tunnel and your true IP address is never exposed. These settings will let you enable (optional) protocol encryption. This is a weak (but fast) encryption algorithm designed to obscure your torrent traffic as it passes through your ISP’s servers and prevent throttling/blocking. You can also turn off DHT, but DHT is required for magnet links to function so we recommend you leave it on. Enabled: This setting will allow you to encrypt connections between any peers that also have encryption enabled. It will still allow unencrypted connections to non-compatible peers. Access to 100% of available peers. Forced: Forced mode requires that all peer connections be encrypted. You can only connect to other peers in ‘Enabled’ or ‘Forced’ mode. This mode is more secure, but will likely reduce your total number of available peers. This usually isn’t an issue but could make it hard to download torrents with few seeders. Vuze has selective support for proxied connections. Vuze does not support peer connections via HTTP(s) proxies at all, though we’re only using SOCKS5 proxy services in this guide. Vuze supports UDP tracker connections (not peers connections) and allows outgoing peer communications via TCP. For more info, see their Socks proxy wiki. Bottom Line: A Socks proxy does work with vuze and can anonymize peer communications (if set up properly). However most users would be better off using a VPN instead, as it is much more secure for downloading torrents safely with Vuze. Then hit click the ‘Toggle’ icon to the left of the ‘Connection’  tab and choose ‘Proxy’  from the dropdown menu to bring up the proxy settings. Enable Proxying of Tracker Communications : Torrent trackers you connect to will use the proxy tunnel and see your anonymous proxy IP address. Make sure to restart Vuze for this setting to take effect. I have a SOCKS proxy : Lets Vuze know you’re using a Socks proxy, not HTTP. This is important because you can only use a Socks proxy for peer connections. Port : The port number your proxy runs on. Most use the default 1080. 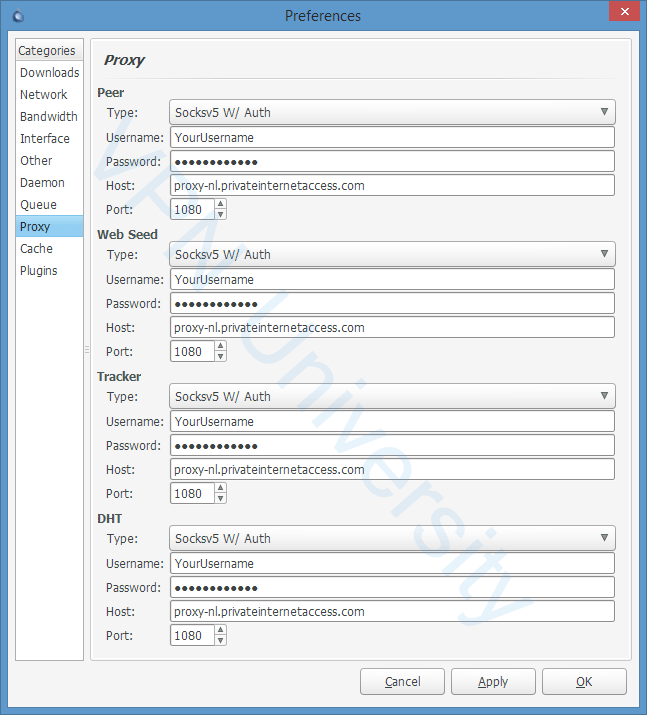 Username/Password : Your own proxy login credentials. Make sure you generated unique proxy credentials if your proxy requires it. Prevent Local DNS Lookups : Check this box to make sure all DNS requests go through the proxy tunnel (prevent DNS leaks). Test Socks : After you’ve entered and double-checked your proxy settings, click this button to have Vuze attempt a connection through the proxy tunnel. This will let you know whether things are configured properly. It’s also essential to enable the proxying of Peer communications in Vuze. Check all the boxes as shown below, and make sure to choose ‘V5’ as the Socks version. If your Internet Provider deliberately blocks or throttles torrent traffic, you can use Vuze’s built-in encryption to disguise your torrent data. If your ISP is using more advanced DPI inspection/torrent-blocking technology, you’ll be better off running Vuze through the VPN tunnel (instead of the proxy). Require Encrypted Transport : Check this box to enable encryption. Forced Mode (only allow encrypted connections): Leave boxes  and  unchecked to make sure you only allow encrypted connections. Enabled Mode (allow encrypted and unencrypted peers): Check boxes  and  to use encryption when available but still allow unencrypted connections if necessary. This is less secure but will give you access to 100% of peers sharing a file. Note: You have to choose a proxy server for each of these, but you can use the same proxy for all connections. You just have to set it up 4 times as we’ll show you. Username/Password: Your login credentials. Provided by your proxy service or generated from your VPN account panel (PIA & IPVanish). Here are the completed proxy settings, using Private Internet Access as an example. Replace the appropriate settings with your own proxy services’ settings. You can choose to enable encryption on Deluge if you believe your ISP is blocking/throttling/slowing torrent traffic. Then look to the bottom of the window for the section labeled ‘Encryption’. Deluge gives very fine-grained control over what portion of the torrent protocol to encrypt and whether to force encrypted connections or just use them when available. This mode will allow you to use as much encryption as your peers allow. It will still use insecure connections if there are not enough encrypted peers available. That’s it, your Deluge torrent proxy is all set up. Proceed to the next section on testing your proxy setup. QBittorrent has excellent proxy support (much like Deluge). They allow proxying of both peer and tracker connections, effectively hiding your IP address from both. In the ‘Connection’ tab of the QBittorrent options menu, you’ll see the proxy settings towards the bottom. The image below shows a proper setup using Private Internet Access. You’ll want to insert the correct host, port, username/password for your proxy provider. Use proxy for peer connections : Check this. It ensures that all connections peers are routed through the proxy tunnel (so they can’t see your real IP address). Disable Connections not supported by proxies : Check this. We don’t want QBittorrent routing any connections insecurely. Deluge has built-in support for protocol encryption. This may allow you to prevent your ISP’s attempts to block/throttle/slow your torrents. This probably won’t defeat more sophisticated DPI torrent-blocking, in which case you’re better off using a VPN. Look for the single line labeled ‘Encryption Mode’. Require Encryption: Only connects to encryption-enabled peers. This may reduce your overall number of peers you can connect to, but you will have 100% full-time encryption. That’s it! QBittorrent is all setup. Proceed to the ‘Check your settings’ section. Each torrent client handles failed proxy connections differently. Some will just route torrent traffic through your regular connection (bad). Others won’t connect at all until you insert the correct proxy settings (good). Either way, you’ll want to check your torrent IP address to verify that your peers can only see the proxy servers’ IP address, not your own. We’ll do this with a free tool that lets you download a custom magnet link and add it to your torrent client. Then, the tool reports what IP address you’re showing to peers, and you can compare it to your web-browser’s IP address. This method works with all torrent clients. Step #2 – Download the Tracking Torrent [Fig. 1]: You can either copy simply download the magnet link or copy and paste the magnet link address into your torrent client. Step #4 – View your proxy IP address in your Torrent client: You don’t have to save this magnet hash# or bookmark the page for future tracking, you can actually see your current torrent IP address by viewing the ‘Trackers’ tab of the tracking torrent in your torrent client. That’s it. Basically all you’re checking for is that your torrent client is using the proxy IP address. It should be different than your web browser’s IP address. At this point your proxy setup should be complete, but we’ll go in-depth on some additional considerations in the sections below. Is a VPN better than a Proxy? Not necessarily, and many people use both together. The majority of people use only a VPN for private torrenting. The main reason is simplicity. There is no in-client configuration required to use a VPN, it just works. The other main VPN advantage is encryption. While all the top torrent clients have a built-in encryption option, this is lightweight (not strong) encryption and depends on other peers having encryption enabled also. So if you want to make 100% sure your ISP cannot see your torrent traffic, use a VPN. That said, 99.9% of torrent monitoring is done based on your IP address (which a proxy hides) not traffic monitoring. Most ISPs could care less what you’re downloading. No encryption: Encryption is a valuable security tool, but it’s also slow. Your data must be run through an algorithm (sometimes 100+ times) both when it is encrypted and decrypted. This results in slower speeds. By using a proxy, you can hide your IP address from torrent peers, but still keep nearly 100% of your internet speeds. A VPN will usually be slower. Your browser address and torrent IP address are different: This makes it much harder to link the download of a .torrent file to the download of the actual underlying files (after you open the .torrent file in your client). Since each will be downloaded from a different IP address and there is no link between the two (assuming you followed our advice and chose a provider that doesn’t keep any logs). And if you want the advantages of a proxy, but also want the strong encryption of a VPN…just use both! Configure the proxy inside your torrent client as normal, but make sure to start the VPN before you open your torrent software. Then, the torrents will run through the VPN & proxy tunnel. There are several prominent clients that don’t handle proxy connections properly (will route them insecurely). Several also will only proxy tracker communications, not peer communications (much more important). All Android clients (except Flud & tTorrent). The term ‘Torrent Proxy’ has another meaning as well: shorthand for specially websites designed to workaround torrent-site blockades. A so-called tracker proxy will fetch the contents of a popular torrent website on your behalf, which you can access from a different (unblocked) domain. Almost all of the world’s most popular torrent websites have 1 or more proxies. While these proxy sites work in the short-term, it’s just a temporary solution. Most will eventually find themselves blocked or taken down as part of expanding blockades. The best solution to unblock torrent sites (or any blocked website) is to use a VPN. Period. Learn how. These are the most commons questions about using a proxy for bittorrent, and problems users may encounter. Feel free to ask additional questions in the comments below or on Twitter @vpnuniversity. Can I use a Free Proxy? Technically it is possible to use any proxy that doesn’t block p2p connections. However there are several reasons you would never want to use a ‘free’ proxy service. Most Free Proxies are HTTP or HTTPs: HTTP proxies are designed or HTTP traffic (the language of websites) and as a result, they only work when communicating with trackers. You can use an HTTP proxy to communicate with torrent peers, meaning peers will still see your real IP address. This defeats the entire purpose of using a proxy. Also, HTTP proxies will route non-TCP connections outside the proxy tunnel (bad). Free proxies keep logs: The goal of choosing a non-logging proxy service is to make it nearly impossible to create a link between the IP address of your torrent client (the proxy IP) and your real address. This makes your torrents highly anonymous, and very difficult to trace by a 3rd party. Free proxies rarely work, and are slow when they do work: Ever tried to browse the web with a ‘Free’ proxy? You’ve probably had to try 5 or 6 before you even get a connection, never mind the awful speeds and increased ads they inject. Bottom Line: Beware of anybody offering something for nothing. If price is a factor, get Private Internet Access. It’s dirt cheap and works great! Should I just use a VPN? It’s personal preference. Some people enjoy the added security/encryption a VPN offers. Others hate having to remember to turn on the VPN every time they torrent, and proxy speeds are usually faster. Also, several torrent clients (Including Transmission and Tixati) simply don’t support peer-to-peer proxies. So you’ll have to use a VPN if you won’t switch clients. Bottom Line: If you want the best of both worlds, use both. Each of the services we recommended in this article allow multiple connections at the same time, so you can use a VPN + Proxy. Username/Password: Double-check to make sure that you followed the proxy credential generation process if you use a proxy service that requires different username/password than your VPN subscription. PIA and IPVanish are the two most popular services that do this. VPN: If you tray to connect to a VPN after your torrent client is already open (and you’re using a proxy) it will cause an error. This is because the proxy server is seeing a login request from a totally different IP address but the same username/password. This looks like a threat/hack so it blocks the attempt. Simply restart the torrent client (with the VPN still connected) and it should work fine. And Please SHARE this guide. It is the culmination of more than 20 hours of effort. Happy torrenting!